We are proud of our history and our capabilities in the design and manufacture of aluminum castings. Kosei is an American company, which enjoys the support of Kosei Aluminum Co., LTD. – a world leader in metallurgy and a wide variety of metal products. This relationship allows us to utilize the best of American and Japanese technology and management skill to produce the highest quality products. “Continuous Improvement” is one of Kosei’s most important philosophies. All of our processes, procedures, and programs are continuously evaluated to determine opportunities for improvement. All associates, regardless of position, are actively involved in supporting this philosophy, as well. Our investment in training and development ensures formation of a strong team and helps us meet our goals. 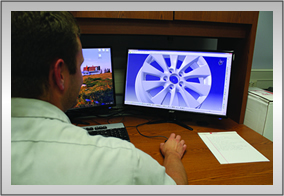 We are constantly researching new manufacturing processes to give our clients the best product at the lowest price.